This week has seen debate rage about whether the Hinkley Point deal represents good value. But there is another vital element of energy policy that is not being discussed. For one of the key benefits of the vote to leave the European Union is that Britain will not longer have to cooperate with overzealous regulations on shale gas extraction, or fracking, which has the potential to transform the energy market. Of course, any kind of resource extraction needs regulation to prevent companies from despoiling the environment and leaving the public to pick up the tab. But the EU’s regulations went much further than that. In a letter to the Government last year, nine leaders of multinational energy companies warned that EU regulations “seriously exacerbate an already ailing investment climate for producing oil and gas within Europe”. If you want to reduce carbon dioxide emissions, fracking matters. America has shown how to make very large reductions – by switching from coal to gas. While gas is still a fossil fuel, it emits only about half as much greenhouse gas as coal. Making gas much cheaper through fracking has driven the US switch. It has not just reduced American emissions three-times more than all European solar and wind has managed, but it has also given the US an economic advantage from cheaper energy worth some £200 billion per year. We need to ditch our unrealistic expectations for renewables. They remain very costly and provide little energy. 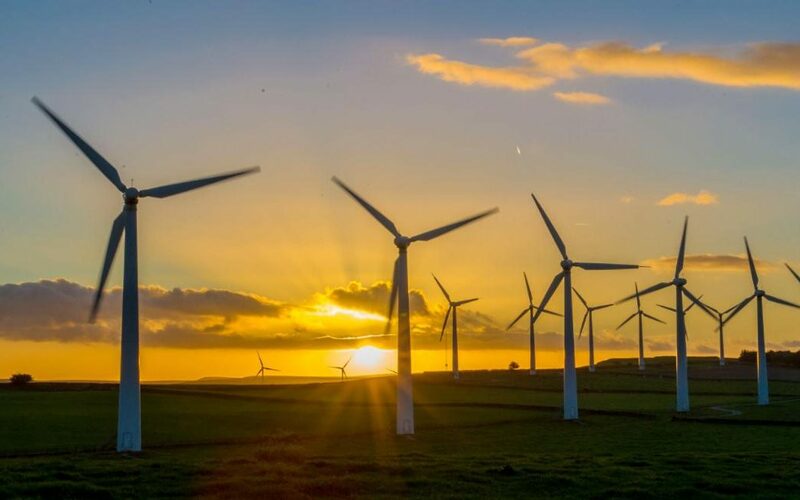 This year, Britain will spend £4.7 billion on subsidies for renewables, yet wind and solar provide just 1.7 per cent – and all renewables just 6.3 per cent – of UK energy. Moreover, wind and solar will need subsidies for decades to come. Just a cut – not elimination – in subsidies caused new solar sales in Britain to drop like a stone, with 74 per cent fewer solar panels installed. All societies need power around the clock, and this demand is normally supplied by a mix of coal, gas and nuclear, which can generate electricity at any time – even when it’s dark or the wind isn’t blowing. Since solar and wind can’t do this, they always get to sell their electricity to the market first, so other more reliable power sources increasingly get relegated to playing backup. That has two consequences. First, renewable power gets ever less valuable because it is all sold at the same time. In California, where all solar power is delivered at around midday, its value will drop by two-thirds by the time it is delivering 30 per cent of required electricity. The second consequence is that backup power is more expensive, because the fixed costs have to be paid back from fewer hours of sellable electricity production. This inevitably ends in higher bills for consumers or taxpayers. Even so, because of regulations, it is often impossible for power companies to fully recoup their costs, so increasingly they are mothballing expensive plants. Across Europe, 60 per cent of all gas plants may be unprofitable and are at risk of closure. Hence – and absurdly – governments increasingly must also subsidise otherwise economic fossil fuel to keep the lights on. Britain has committed to pay £1 billion to keep backup capacity available for peak power – mostly in the form of fossil fuels – just for 2018. Perhaps the most bizarre outcome is the effort to commission up to 1.2GW of small diesel generators as emergency backup. This means thousands of diesel generators scattered around Britain. Because they’re exempt from environmental regulation, they could end up polluting the same amount as a million extra diesel cars. Per unit of electricity, they emit more than three times as much carbon dioxide as existing electricity production. The cost will likely run to about £1.5 billion extra. You couldn’t make this stuff up. Trying to get more renewables means we end up paying for power three times: once for the power; once for subsidies to inefficient renewables; and then once more to subsidise backup fossil fuels. Yet, despite all of that, the impact on CO2 emissions is trivial: the total reduction from UK solar and wind is equal to 29 Mt CO2, which could be achieved through the EU emissions trading scheme for just £107 million. Across the world, despite the exuberant optimism of many supporters, solar and wind will remain mostly an ultra-expensive and ineffective way forward for the next quarter century. The International Energy Agency estimates that even with the Paris climate agreement fully implemented, only 2.4 per cent of the world’s energy will come from solar and wind in 2040, and even in climate-obsessed Europe, the proportion will in 24 years be a paltry 6 per cent. As an EU member, Britain too focused on inefficient but hugely expensive solar and wind, yet is still likely to miss the targets for renewable energy set for 2020. A much better course is now possible: to focus on cheaper gas through fracking. It may not feel as good, but it will cut more CO2 and generate – instead of costing – billions of pounds.